Bend, Twist, Stretch! This clever new twist on an old classic game is perfect for any occasion and fun for all ages. Hand Constructed from the finest heavy-duty industrial vinyl and double stitched to ensure that your Human Pretzel will last for many years to come. The circles are multiple colors for authenticity. The inflatable mattress is 15′ x 15′ x 15″ h, easy to store, and most importantly safe! It weighs 125 lbs. Includes a 1hp inflation blower (110v) for inflation. Up to ten players can participate in this ultimate test of dexterity and balance making this game a great way to keep everyone enthralled in the action. The exquisitely manufactured game show style wheel is constructed from a high-grade Medium density fiberboard wood, with stainless steel pins. The graphics on the wheel are printed in a large media format and a high gloss laminate for an overall outstanding quality and presentation. The spinner wheel is 3′ tall and 24″ wide on the wheel. Spin the wheel to determine which corresponding limb and color each contestant will have to place on one of the many circles. Treat your friends, guests, clients, or co-workers to the time of their life at your next party or event! 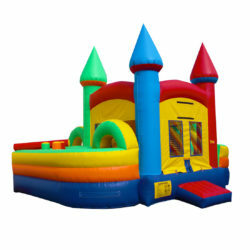 Dimensions: 15′ x 15′ Weight: 125 lbs.